In our strive to make Cyr Wheel more accessible we have created Open Spins! 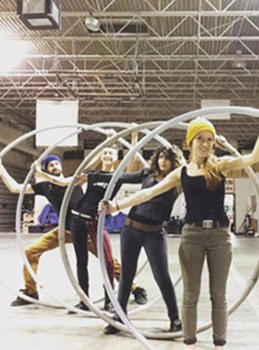 Open Spin is a 3 hour long Cyr Wheel jam session, open to everyone. A public session open to all levels noobie to expert. We provide the wheels and the space, all you do is show up and spin.